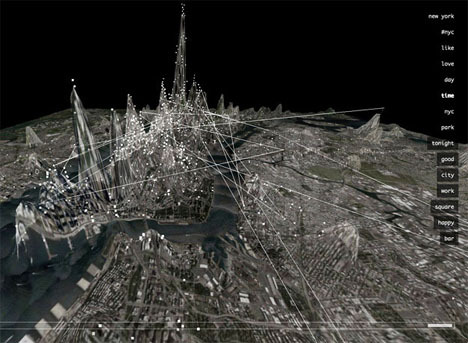 What would it look like if you could actually see all of the tweets and Instagram photos from a Beyonce concert in New York City hovering above the skyline in physical form? 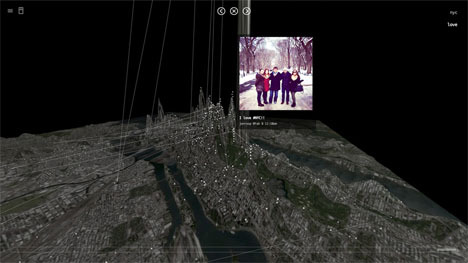 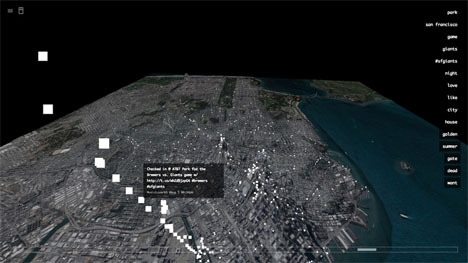 A project called ‘Invisible Cities’ answers that question with an interactive map that displays geocoded activity from various online services in real time with individual nodes appearing anytime a message or image is posted. 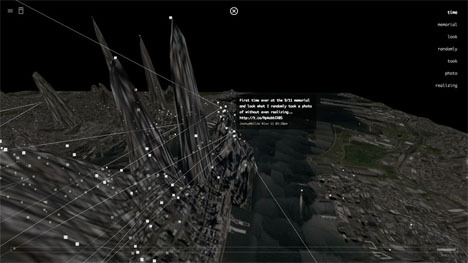 Using a Leap Motion controller and various hand gestures, the user navigates a three-dimensional data landscape, with all of that information literally at their fingertips. 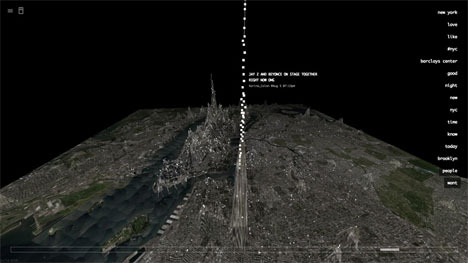 As data is aggregated, the landscape of the city changes, with new hills and valleys representing areas where social networking is the most and least active.